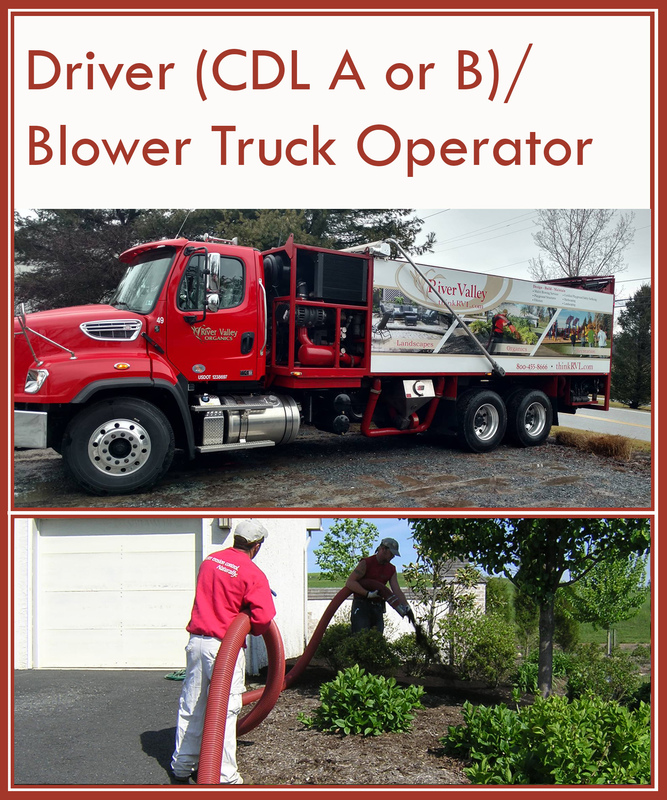 River Valley Landscapes, Inc. is hiring experienced CDL drivers to operate our fleet of mulch blower trucks. Position also requires physical labor assisting crews with mulching commercial properties. Our focus is providing premium services and outstanding quality to all of our clients. We are looking for applicants who are conscientious drivers, have a strong work ethic, and love working outdoors. We offer steady work with flexible hours in a positive work environment, competitive wages, and vacation/holiday pay. A valid driver’s license and clean driving record are required. Applicants must pass a pre-employment DOT physical and drug test. ©2017 River Valley Landscapes, Inc.